As the geopolitical picture continues to churn with uncertainty, France is making a strong and surprising bid to assume a central leadership role in fixing the hot mess otherwise known as the internet. Following a weekend-long tribute to the 100th anniversary of the end of World War I that drew global leaders to Paris, French President Emmanuel Macron made two major announcements that underscored his administration’s drive to address the long list of problems that have put a cloud over the internet’s impact on modern life. The goal is to create a framework for regulating the internet and fighting back against cyber attacks, online censorship and hate speech. The more than 370 signatories included 51 governments, though notably absent were the U.S., China and Russia. It’s also backed by tech giants such as Microsoft, Google, Facebook, Intel, Ericsson, Samsung, Accenture, Fujitsu, SAP, Salesforce and Hitachi. Meanwhile, Macron also announced that Facebook had agreed to allow French regulators to “embed” in the company for six months to monitor and understand its efforts to fight online hate speech and other suspicious content. The move is also one of the first major moves since Nick Clegg, the U.K.’s former deputy prime minister, became Facebook’s new vice president for global affairs. “The best way to ensure that any regulation is smart and works for people is by governments, regulators and businesses working together to learn from each other and explore ideas,” Clegg said in a statement given to reporters. These latest efforts come as France continues to press other European Union members to adopt a tax on tech giants to attempt to level the playing field for smaller startups a and traditional businesses. Put together, the last few days underscore the remarkable rise in France’s international profile. Diplomatically speaking, the country seemed like an afterthought in many ways just a few years ago. But the election of President Macron 1.5 year ago, plus the void left by the America-firstism of President Donald Trump, created a new opening for France to try to regain a spot on the globe’s center stage. As some look for an alternative to at the authoritarianism of China and Russia, and the populism sweeping much of Europe and the U.S., Macron has been happy to try to fill a void. Whether his calls for cooperation and globalism will have an impact, however, remain to be seen. But at least for now, France has again found itself enjoying a new relevance on the global stage. You’re rushing to get to a critically important meeting. Maybe you’re running a bit late, but no worries. You’re prepared, with everything you need right on your trusty laptop. You get to the venue, prepare to set up your materials, power on your laptop. Oh no…it won’t power on. It’s dead. Not the battery, not the connection. The entire thing. Is there a way out of this mess? Can you still access the information for your meeting? If you have your information and all your supporting data in the Cloud, what could have been a monumental disaster is reduced to an annoying inconvenience. You grab your tablet – or even your smartphone – and proceed with your presentation. 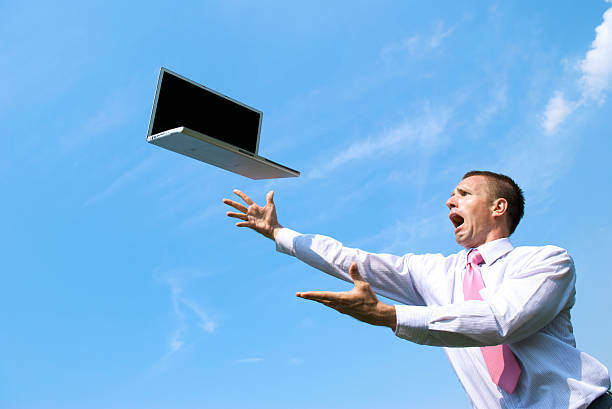 Tomorrow, you’ll take care of the laptop situation, but for today, the Azure Cloud has saved you. Your presentation, along with all your other important work-related documents, is sitting comfortably in Office 365 in your OneDrive account in the Cloud. Some may wonder if Microsoft Office 365 is just a newer version of Microsoft Office. Well, it is, and it isn’t. It offers the same productivity applications you like so well, but it comes with many other Cloud services that work together to transform the way you operate in your digital office. With products like Skype for Business bundled in Office 365, you’ll never miss a phone calls because, with the proper permissions, they can ring through on your various devices: laptop, cell phone, desk phone, tablet, etc. When you’re working with other team members, you can access company documents through Teams or Sharepoint online. Cortana can schedule meetings for you across your and your customers’ calendars just by including Cortana on the email and requesting it be scheduled. Your documents will be backed up in the cloud and available to you anytime and anyplace you have internet and on any device. When you save files in your OneDrive, they will be real-time updated in Office 365. That means you can start work on one machine and pick right back up from another. Now, that’s business continuity. If you have a failure on your primary work laptop, you don’t need to worry, because everything is backed up in the Cloud. Again, with the necessary permissions, you can also have a personal Office 365 account for family documents, photos, and videos. If you travel a lot, you’ll want to have those while you’re on the road. Take it a step further and set up Office 365 for Android or iPhone. Then you can keep working from your mobile devices and have information backed up to the same secure Office 365 files. Access your data and documents from anywhere and make use of policies that allow you to keep your documents secure even while you have such freedom. That’s the perfect example of the modern workplace in action as well as business continuity. With Office 365 and the Cloud, there’s no need to worry about the security of your information. Your Cloud provider will be responsible for regular backups and updates as well as 24/7 troubleshooting and security; their business depends it. Your Microsoft partner will help you get set up and keep you up to date. The Power of the Cloud and Office 365 is an easy way you can ensure business continuity. For quick steps to set up and configure a OneDrive account, visit the original blog. If you want to free yourself and your employees from a single workstation, have the security of an “always backed up” Cloud solution, save your data and your day, and so much more, contact our Cloud experts at AKA Enterprise Solutions. I believe that Project Management companies should think outside of the box. When it comes to time management, property managers need all the help they can get. After all, multi-tasking, on the spot decision-making, coordination with tenants and vendors, and facility maintenance require organization. 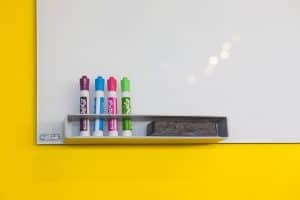 Active property managers might wonder where all their time was spent and was all the effort captured, and if not, what was missed. A keen memory is important, but it’s not the key to running an efficient and profitable business. Since property managers are juggling so many balls in the air, they need to have a system or record that organizes what was done, for whom, by whom, why, when, and how long it took. This sounds easy, but it’s not, especially without the software and processes to easily capture all the necessary data. Over the years we have seen many property managers consider only custom-built proprietary software packages to run their business. These systems are often inflexible, present future compatibility risks, are not mobile friendly, and sometimes don’t survive, leaving users with unsupported software. If you are looking for a better way to manage your business processes, Microsoft Dynamics 365 is a solution that should be added to your shortlist. One of Microsoft’s flagship business line of solutions, Dynamics 365 is flexible, fully integrated with the web, mobile, Microsoft Excel, Word, and Outlook. Custom built solutions can box you in, while Microsoft Dynamics 365 can be molded into whatever business processes you have. Microsoft Dynamics 365 is also a great fit if property management is a division of a larger operation with more complex CRM and ERP operations. Using Microsoft Dynamics 365 with Crowe Timesheets, your property management company can track the quantity and nature of the time spent on each property. 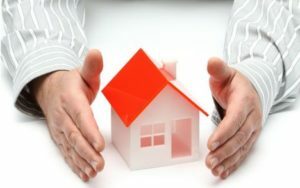 Let’s use the example of a property management company that manages eight properties. You typically have staff, such as maintenance technicians, who will regularly check and maintain the properties, usually on a schedule. And you respond to tenant maintenance requests too. The time spent on all these activities can be tracked in Dynamics 365. When the technician arrives at building one, they can use their mobile phone to record their time against the specific building account. It could be categorized as “maintenance,” “goodwill visit” or “monthly audit.” Then they go to building two and track “changed filters on floors one and two,” and record the amount of time. On the spot entry eliminates the need for someone else back at the office having to interpret messy scribbles from workers in the field. Details entered on site and on time will be more accurate. The data captured in Crowe Timesheets for Microsoft Dynamics 365 can help you control overtime and labor expenses, and stay on top of job costing in real time. You can easily see which properties are the most profitable and where you can become more efficient. Information captured can also help you make hiring decisions. For example, you could look at the time tracking reports and say, “Johnny is really working hard. Every month, he sees eight properties, he’s doing a lot of driving, not wasting time, tracking his data. He is solid. Maybe we could hire someone else and move Johnny into an oversight supervisory position.” These are the types of business decisions that will be easier if you have the right systems and processes in place. Before you choose a system for your property management company, consider evaluating the bigger-picture benefits of using Microsoft Dynamics 365 with Crowe Timesheets. To commemorate the silver jubilee of FICO’s use of artificial intelligence and machine learning, we asked FICO employees a question: What does the future of AI look like? The post below is one of the thought-provoking responses, from Shafi Rahman, a principal scientist at FICO, working in San Diego. The most memorable scene in the film 2001: A Space Odyssey is when HAL 3000 turns off the life-support functions of the crew in an attempt to keep itself from getting disconnected. This was my first encounter with what we call artificial intelligence. Then in Terminator, we were introduced to Skynet, a neural network based AI, which raised an army of robots for self-preservation. Hollywood has always portrayed the future of AI in a dystopian, cataclysmic manner. In reality, I believe things will be different — benign and beneficial to the human-kind. In the last 10 years, we have seen huge revival in the research and development of AI. This has been fueled primarily by our ability to train deep neural networks using larger and larger training datasets, riding on faster and better CPUs and GPUs, Big Data and innovations in algorithms. AI is poised to evolve faster than ever in the next decade. And yet, we are not going to witness the kind of man-versus-machine showdown that we have seen in Hollywood movies. On the contrary, AI will lead to major improvements in all dimensions of our lives within the next 10 years. Take the ongoing research in the application of AI in medical sciences. The early results coming out of labs are nothing but positive. Samsung, for example, announced last year that its ultrasound devices can now identify breast cancer and even advise whether it’s benign or malignant, using AI that analyses ultrasound images. Similarly, using AI based on speech recognition and analysis, scientists have devised early detection capability for onset of Parkinson’s disease, with the claimed detection rate of 99%. Merck gave huge cash prizes for discovering new drugs using AI. In fact, there is an entire research journal, Artificial Intelligence in Medicine, dedicated to the research in the application of AI in medicine, human biology and health care. This rapid progress leads me to believe that within the next 10 years, there will be faster and earlier diagnosis of all diseases at a much lower cost, and the drugs and treatments will be much more effective. Doctors could routinely use AI systems for second opinions, and medical mistakes would be things of the past. These would lead to saving of millions of lives across the globe each year, and improve quality of medical outcomes dramatically. In the past, automation has saved people from drudgery and elevated the quality of life by making work environment safer, while letting us do more intellectually satisfying and physically less demanding jobs. In the current wave of automation, led by the resurgence in AI, I don’t expect the outcome to be any differently, though like earlier, there will be disruptions. The American Trucking Associations predicts that a total of nearly 900,000 new drivers will be needed over the next eight years and there are 50,000 jobs currently vacant due to lack of drivers. This is the kind of scenario where AI would step in and fill the gap. As Harvard Technology Review reports, any self-driving truck will require a driver to remain on board to take over the control in cases which AI can’t handle. The job itself will become less stressful, leading to fewer mistakes and road accidents. The trucks will run continuously on the road, reducing the time and cost and making things cheaper. The fuel efficiency will go up by as much as 30% when AI takes control, leading to a greener planet. If the use of AI in trucking industry is any indication, in the next ten years, jobs will often require interplay with AI based systems. It will reduce effort and increase efficiency of the workers. The side effects would almost always include better quality of life, better and cheaper products, happier employees and customers and a green earth. Societies would evolve to help those affected by the job displacements, while continuous and on-the-job learning would become de facto standard. 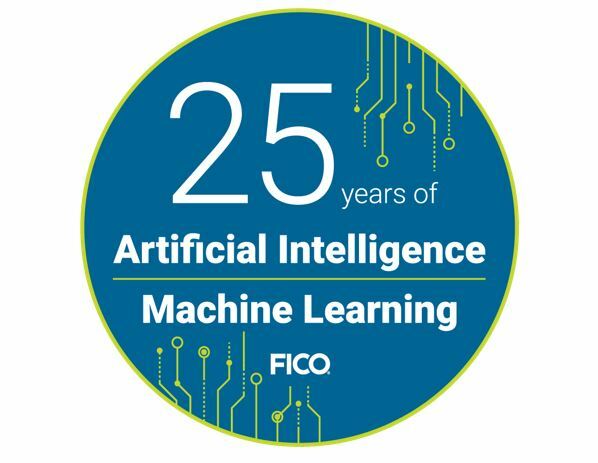 At FICO we have been leveraging artificial intelligence to help our clients make their decisions smarter. It has been 25 years since we got our first patent in application of AI for fraud detection in the payment card space. This led to a rapid decline in card fraud across all of the USA within a very short time. Since then we have extended the AI offerings to include self-learning models, and its application in diverse spaces like cybersecurity. We expect that in the next 10 years, the AI capabilities of FICO can dramatically reduce the threat of cyberattacks on computer networks and connected IoT devices by identifying even the most subtle forms of intrusions and isolating vulnerabilities. In the next 10 years, our AI capabilities could make money laundering and terrorism financing virtually impossible. One can even imagine the same technology being extended to make it impossible for criminals and terrorists to hide their activity and avoid scrutiny. In conjunction with AI-based facial recognition system, it would be impossible for them to avoid detection. Predicting the future is a hard business even for those of us who make living out of using AI to predict future outcomes. Progress of technology is not always linear. It does lead to disruption. Unintended things happen. But then we learn to deal with the negative fall-outs, do a course correction and steer the technology towards the greater good. The path of the future of AI shouldn’t be any different. And there is already a good line of sight into what the future of AI would be like in the next 10 years. So while things may get difficult at times, I expect that we won’t be encountering Skynet or HAL anytime soon. On the contrary, we will have healthier population, happier employees and customers, more profitable businesses, less crime and a safer planet. See other FICO posts on artificial intelligence. Training is an often-overlooked necessity to implementation and upgrade projects for CRM. Yet, it’s also one of the easiest, most cost-effective ways to ensure a high ROI. Employees who understand CRM are more likely to use it (correctly! ), and when more people are inputting data into CRM, business leaders can more accurately make decisions based upon past and present trends. This ability to use the data is vital to getting the most out of CRM, and this is why PowerObjects has long held the belief that end-to-end education and training supports successful implementation. Learning how to use a piece of software for that doesn’t exist yet may seem strange, but it’s one of the best places to start your learning path – particularly if you’ve never worked with Microsoft Dynamics 365’s latest version. Project teams spend the first portion of a project gathering requirements, defining scope, and determining the overall needs for the client. We do our best with the information we receive to not just meet but exceed project goals. However, if the entire project team – including clients – don’t understand how a complex software like CRM operates, it can result in unexpected hours added to the project because the needs weren’t properly raised. A small investment on training upfront can result in tremendous savings and stress reduction in the long run! You’ve listened to our advice and sent the appropriate people from your team through some additional training, and the system isn’t being shown to end-users yet – what could education possibly provide here? Lots! At PowerObjects, we have a team of Learning Consultants who work with a project team to assess ease of use from an end-user perspective. 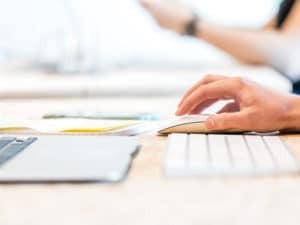 Essentially, they work to make sure the system and training materials will be understood and used by your end-user once the system is ready to go live. This saves time and money because it reduces the hurdles that exist when transitioning to a new software. Have you ever listened to a subject matter expert explain a process to you using words you don’t understand, referencing something you’ve never heard of, or just outright talk at a level over your head? That’s what our CRMU course, Prepare to Train for Dynamics 365, helps you avoid during your implementation. Your CRM Administrator is most likely an expert in your system, and while that makes this person a great person to talk about the new system, it also means they’re more likely to make assumptions about what is basic knowledge versus what requires more training. Prepare to Train for Dynamics 365 empowers your in-house trainer to understand CRM from an end-user perspective – the people they’ll be training! The course walks soon-to-be-trainers through creating appropriate materials for their audience, what areas to train on, as well as training around soft skills so end-users feel comfortable enough to ask questions. Adding this final piece of training to your CRM implementation or upgrade is sure to save time and make your team more productive! Happy training and happy CRM’ing! Unlike Dynamics CRM, with the new Microsoft Dynamics 365 pricing model, more users equals a lower cost per user. This is technically called “tiered” pricing, but “waterfall” is common industry term and better evokes the image of a downward flow of your cost per user. Let’s look at the Dynamics 365 waterfall pricing in its simplest form. Microsoft Dynamics 365 users can license individual apps a la carte (such as Sales, Marketing etc..) OR the user license can be for a PLAN, which allows access to all the apps. It is important to realize that waterfall pricing is only available for PLAN users (or Team Member users in the Enterprise Edition only). Waterfall pricing for Dynamics 365 Business Edition Plan. Note: There is no waterfall pricing for team members in the Dynamics 365 Business Edition. Note: Waterfall pricing is not available for Enterprise Edition Plan 2. BUT Plan 2 seats count toward Plan 1 tiers. Which subscriptions count toward tiered pricing? Dynamics 365, Enterprise edition Plan 1 and Plan 2 subscriptions both count towards the Dynamics 365, Enterprise edition Plan 1 price tiers. Dynamics 365, Enterprise edition for Team Members subscriptions count only towards Dynamics 365, Enterprise edition for Team Members price tiers. (FUTURE) Only Dynamics 365, Business edition plan subscriptions count toward Dynamics 365, Business edition plan price tiers. Tiered pricing is not available in the Microsoft Online Subscription Program (MOSP), nor for EDU or charity pricing in any program. Annual subscription commitment is required for a subscription to qualify for tiered pricing. How is the price calculated if user license subscriptions are purchased at different times? The price tier is calculated by adding the existing number of licenses plus the new licenses being ordered. For example, if you place an order for 150 Team Members, this initial order will be priced at Tier 2. Six months later if you add an additional 100 Team Members the second order will be priced at Tier 3 since your total Team Member users is 250 (150 from the initial order plus 100 new users). Will the price of the original licenses go down when I purchase more licenses? No, previously purchased seats stay at the price they were purchased until renewal. The lower tiered price only applies to the new licenses being purchased. So you can have licenses at different price points depending on when you added them. However, when you renew your contract, all licenses will be counted together and renewed at the same lower price. In the example above, the initial 150 users will still remain at Tier 2 pricing until renewal. At renewal, all 250 users (including the initial purchased users) will move to Tier 3 pricing. What if I reduce the number of licenses that qualify for tiered pricing? Microsoft uses the principle of LIFO – last in first out. So the last licenses purchased will be the first ones to be reduced. Which means you can’t choose to eliminate your more expensive licenses first. Just to make it a bit more complicated, if you reduce users at your renewal date and you no longer own the number of seats that qualifies you for the tier you last purchased then you must replace the tiered seats you haven’t owned for a full year with tiered seats at the price tier that equates to your new qualified seat total. Clearly, there is a lot to understand about the different users who qualify for tiered pricing. And you should have a strategy on the timing and quantity of user licenses you purchase. Those questions are best directed to your Dynamics 365 partner who can work through the intricacies of this new subscription model for Microsoft Dynamics. Whether you’re a current user of Microsoft Dynamics CRM or a prospective user of Dynamics 365, you’ll need the expertise of a partner, like Crowe Horwath, to navigate the ins and outs these new cloud solutions. If you are looking for a Microsoft Dynamics 365 Partner to help you make a strategic purchase, contact us at 877-600-2253 or [email protected].